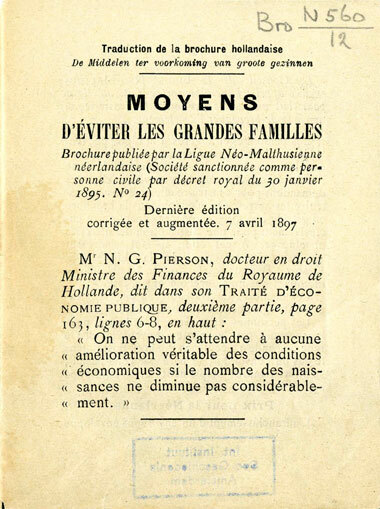 The appearance of this booklet caused a scandal in France. This copy bears the stamp of the Ligue de la Régénération humaine, de French neo-Malthusian organization founded in 1896 by the anarchist Paul Robin. See also the online exhibition on French neo-Malthusianism.